Today's post is by Cheryl Wright. In 1998 I gave birth to a beautiful baby girl who was missing part of her corpus callosum. She was quirky and didn’t learn to speak in a typical manner. She had echolalia for years and would only simultaneously repeat what was being said in seemingly stereo timing to what she heard. I had to spend years teaching her to answer, “I’m fine, thank you.” to the question, “How are you?” I walked around with her, and for years pointed to everything blue, telling her it was blue; hoping she would get the concept of color. We had a blue and white checkered tile floor. I had every person that came in hop on the blue tiles and exclaim “BLUE!” At the age of seven, she finally got it. She said, “Mama, I walk blue!” and excitedly walked across the white tiles on the floor. She did understand blue and was able to demonstrate her understanding over the next week. The other colors came within the next six months. When she did start to share her observations of the world, I found out that she didn’t view things in the same way that I did. “Look! An airplane, Mama!” she called out to me one day as we were outside walking. Of course, I looked up. No airplanes. I looked down for a toy airplane. I even looked for a sticker of an aircraft. Then I saw it. The shadow that made an airplane. 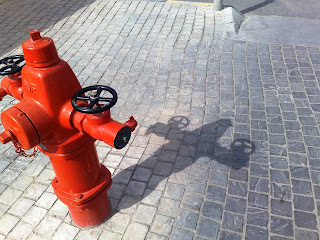 I became observant of shadows and realized that they were very real to her. She avoided stepping on shiny tiles that reflected the ceiling. For to her, it looked like she was going to drop into a pool. She didn’t look at her reflection in mirrors, as she didn’t recognize it was a reflection of herself, only a disinterested other child. She avoided stepping on shadows as they were physical objects. Through my sincere desire to understand my daughter’s thought processes, I researched and studied. I obtained an advanced degree in Autism Spectrum Disorders and earned a Doctorate of Education. 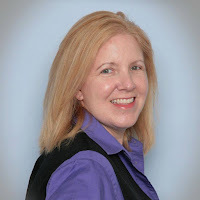 I’ve worked to advocate for individuals with disabilities and enjoy being an international educator, speaker, and author. I have worked as a life-skills coach for students with developmental disabilities in South Korea, Thailand, Kuwait, and the United States. In coordination with the wonderful educational leaders that I have met internationally, we have authored the Cultural Rainbow series of children's books about individuals with different abilities, acceptance, holidays, and cultures around the world. My dissertation, Confabulation in Individuals with Disorders of the Corpus Callosum: Educational Implications, is available as a free download. This study explores the possible educational implications that individuals with DCC may experience with confabulation. The specific population of individuals with DCC, and the community who interact with individuals with DCC can benefit from educational best practices based on information from this research. 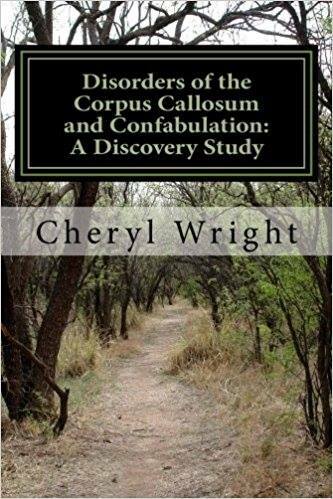 And the full set of statistics from my study, Disorders of the Corpus Callosum and Confabulation: A Discovery Study, is available on Amazon. My daughter is 36 and has complete ACC. I would be interested in starting a dialogue with you.